There are plenty of decisions you need to make regarding your home. And one of the most important is going to be choosing what front gate you want to have. There are many reasons to put a front gate on your property, but the main two are security and aesthetic appeal. So, here are a few groovy front gate choices you could make. Hopefully, once you’ve read these ideas, you’ll be able to make an informed decision of your own. These days technology is seeping into every area of our lives. So, what better way to enjoy your front gate than to combine a bit of technology? Automatic gates are all the rage these days. They’re convenient, cool, and they are excellent for security purposes. So make sure you take a look at the different options available if you want an automatic gate. There are plenty of different materials and designs to pick from. Make your front gate stand out by going with an automatic gate today! When it comes to designing and building a front gate, sometimes you just want to go with the classics. And in this instance there’s no doubting that a wooden gate is a classic look. And don’t think that just because it’s wooden it’s not great for security. The fact is you can get loads of different types of wood and sizes of gate. So there’s no doubting you can choose a wooden gate that’s going to be sturdy and secure, and one that will complement your home. If you want to go with modern and trendy for your front gate, you’ll want the panel design. This looks effortlessly cool, and it complements the front of any home. In addition, panel gates are very secure, so they become a great way of protecting your home. You can choose different colors and designs for you panelled gate. Many people will use some kind of wood or metal for their panel gate. And you could probably even get one that’s automatic as well. So you can enjoy the best of both worlds. Wrought iron gates as generally something we associate with being part of mansions or old houses. We see movies with these types of gates and they’re always attached to a particular type of home. However, this doesn’t necessarily have to be the case. You see, the beauty of iron gates is that they can pull off the contemporary look as well as the old-fashioned one. It’s often just a case of getting the design right. So, don’t be afraid to go with iron gates just because you worry they might not suit your home. 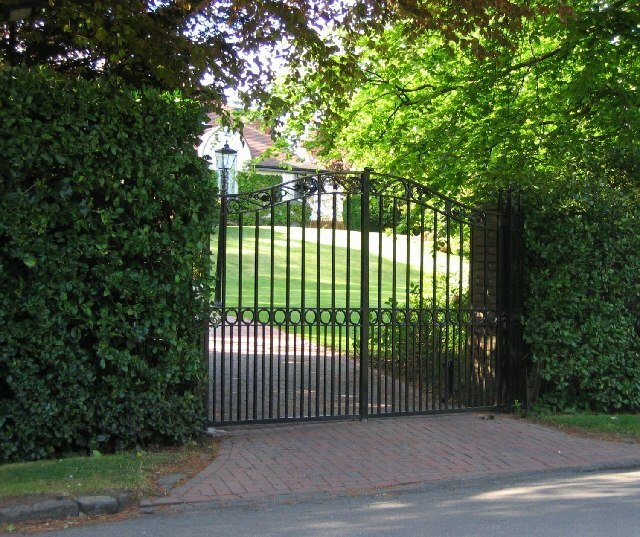 The front gate is an integral part of your home and your property. It serves an important role in the security of the property. And it also adds a stunning visual edge to the home. That’s why you need to make sure you take the time to choose the best front gate you can. Use this post as inspiration to try to find the ultimate choice for your home.